Need a Gift Idea for a Gamer? It’s ModMic! The holidays are already fast approaching! It’s about that time of year to start …panicking. About everything. The cold weather, family, meeting those 2018 resolutions—remember those? And of course, what will you buy your loved ones for the holidays? Well, if your loved one is a gamer, we’ve got you covered. Consider the ModMic. A mic for gamers? Probably not the first gift idea that occurs to you, but ask any gamer how important communicating—clearly—with their crew is and a high-quality mic might not seem like such a weird gift choice after all. You might not think of gaming gear as a long-term investment, but unlike most technology a mic is something that will last long past the next several generations of iPhone. Good microphones like the ModMic are relatively inexpensive, but make a huge impact on how you sound in games or on calls. The ModMic attaches to any headphone! The ModMic is a unique product loved by hundreds of thousands of people around the world. It attaches to any pair of headphones, instantly turning it into a better headset. Got a nice pair of headphones already? Attach the ModMic and go! 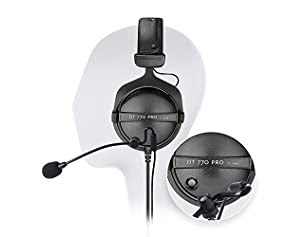 Headset with a broken mic? Don’t throw it out, just add the ModMic and it will be better than new. And of course, the ultimate gift, buying a nice pair of headphones and the ModMic together. We’ve even got special bundle deals for the holidays! It’s cheaper than you think! We’re going to let you in on a little secret: some gamers would love to go pro. Sure, most of them are completely fine playing weekend or weeknight games with friends, but a few have an eye on becoming professional gamers. If your loved one dreams of becoming the next big thing, there’s little that’s more practical than getting them a good mic. This will let them communicate better and present themselves in the best possible way. Your gift could take them to the next level, or at least be the envy of their friends. In most online games, good communication is key to survival and ultimately winning. 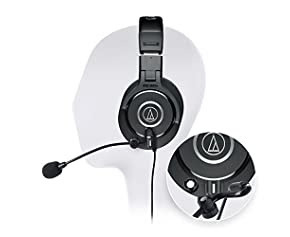 Good headphones let gamers hear commands clearly and a companion high-quality mic enables them to give commands clearly. In many situations, there’s no time for second guessing what might have been heard or said. If the command is “climb the tower,” and they don’t hear it clearly, instantly, they’re going to be snuffed out by the opposition -- the folks who have good mics and understand one another -- while they’re trying to slime the flower. We’re not talking about the noises from the game, like explosions and gunfire (which they can hear better with a good pair of headphones). We’re talking about things going on in the house while they play. Every ModMic has a noise canceling microphone, ready to reduce or eliminate the chaos of a standard household. At the end of the day, it’s not about “going pro,” or about sounding better (well, sort of). It’s about having fun. With a solid mic like the ModMic 5, the gamer in your life will have more fun. Clear communications and better audio makes the game more immersive, and that means a better experience for everyone. If you give a ModMic for the holidays, don’t be surprised if your gamer tries to disappear from the holiday dinner table. Of course, they could just be trying to escape Aunt Emma’s dried-up bean casserole. A good mic is half the battle for great gaming audio. The other half? Great headphones. If you need to go deeper on your headphone research, we’ve got you covered. Ready for the ultimate combo? Check out these bundle deals from our partner on Amazon! Superior noise isolation and quality on a budget! The ultimate in quality and comfort for movies and games!